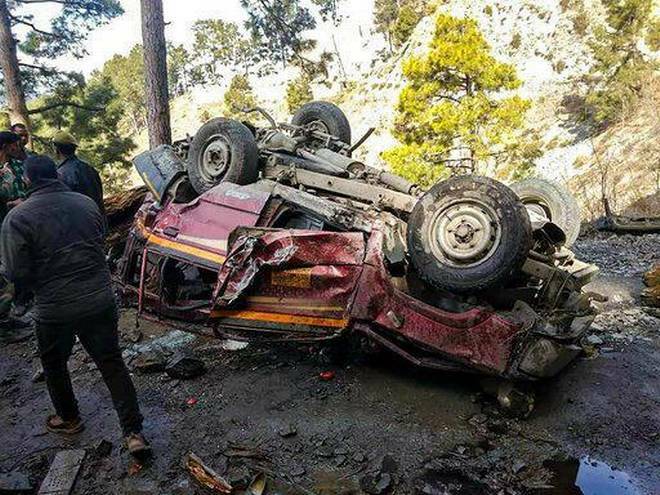 Police Report: 11 people were killed which includes 5 kids and 4 women after a SUV fell off into a gorge in the district of Ramban, Jammu and Kashmir on Saturday. 4 other people attained serious injuries from the accident. The SUV had 15 passengers on board and was traveling from Chaderkote to Rajgarh when it rolled into a gorge that is 500 feet deep, preliminary investigations showed that the driver lost the control of the car at Kunda Nallah which is near the Baglihar Power House at 10:30 AM. The police added that locals and the police started a joint rescue operation that pulled out the dead bodies and injured people from the gorge. 6 people were found dead in the gorge and 5 were dead upon arrival in the hospital. 3 people and the driver of the SUV were airlifted to a hospital in Jammu for special medical treatment. Rajgarh is located in the district of Ramban which is connected by the National Highway of Jammu and Srinagar through a link road that is severally damaged at different parts. The allowed capacity for a travelling SUV in the roads of the district is only 7 passengers, the SUV that fell off the Gorge had 15, the driver of the vehicle violated the rules that are set by the Jammu government. The deceased people have been identified as 61-year-old Romal Din, 37-year-old Babli Devi, 32-year-old Urmilla Devi, 30-year-old Rubeena Begum, 23-year-old Mohammad Mubeen, 13-year-old Imano Bano, 9-year-old Arjun, 2-year-old Pari, and a 3-month old baby. Another child that was inside the SUV was airlifted to the Government Medical College Hospital of Jammu, he died at the helipad. The police added that the baby has not been identified.